This is the eighth tutorial in the GeoGebra Essentials Series. If you are not familiar with GeoGebra, you may want to read the Introduction to GeoGebra post and the earlier tutorials in this series. In the tutorial below, menu commands, located in the menu bar, are in brown bold text, and submenus are denoted by the > symbol. For example, Options>Labeling> New Points Only means, click the Options menu, choose Labeling from the list, then select New Points Only. The name of the tools are colored orange. For example, New Point means the new point tool. 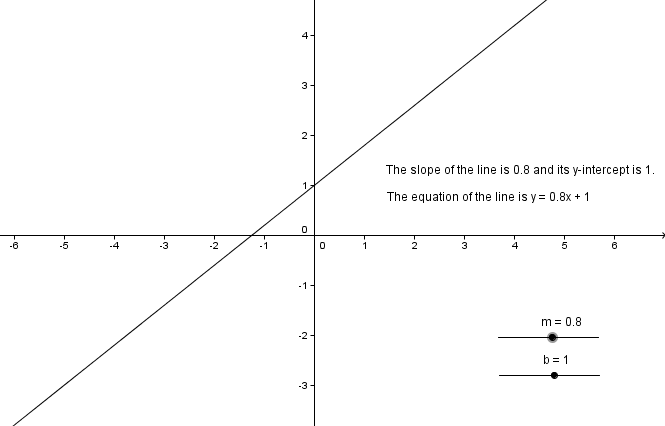 In this tutorial, we learn how to use the Text tool of GeoGebra. We will use a previous tutorial on how to use sliders, and then, learn how to the text tool and how concatenate text and variables. The output of this tutorial can be viewed here. If we want to create a mathematical object (not included in the toolbar) many times, we may want to create our own tool. This will save us the trouble of creating similar mathematical objects repeatedly. 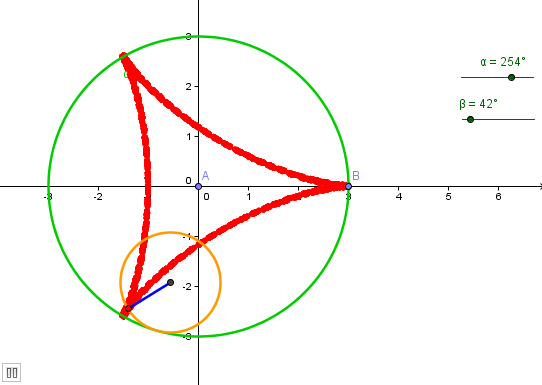 In this example, we are going to create our own tool – the circumcircle of any triangle. 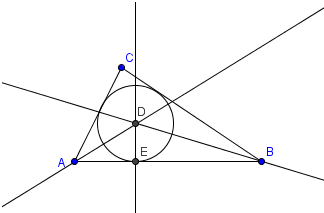 A circumcircle is a circle that passes through the three vertices of any triangle.